You can turn your static banner images into active slideshows. To do so, scroll over your current banner image and click the arrow next to the Edit Image button. Then choose Edit Slideshow. 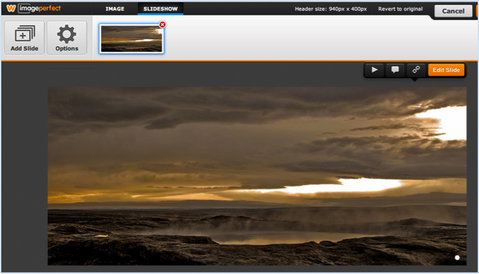 If you've previously uploaded an image to the banner area, that will display as the first image in your show. If you haven't previously uploaded an image then you'll be prompted to do so. To add more images to your slideshow, click the Add Slide button. 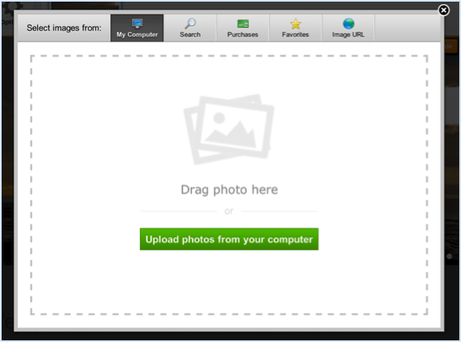 This will open a Dialog Box where you can upload a photo from your computer or search through the database of stock images. You can add as many images to the slideshow as you like, though we'd recommend keeping the total number at less than eight. 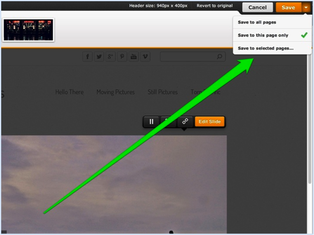 As you upload images, you can drag a slide's thumbnail around to change the order in which the images play. And you can click the 'x' in the upper right of the thumbnail to delete the image from the show. Additionally, each individual image in the slideshow can be edited using the Edit Slide button to alter the cropping and position of that single slide image. The image editing options for a slide are the same as those provided for a static banner image. You can reposition the image within the slide, rotate it, crop it, and even add more images to this one slide. 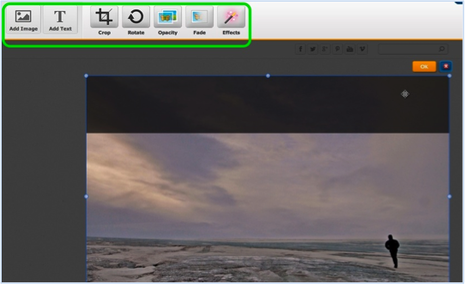 When you're finished editing an individual slide, click the Save Slide button in the upper left and you'll be returned to the header slideshow editor. 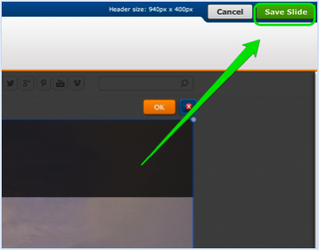 And once you're done editing the entire Slideshow you can Save it using the Save button in the upper right. Up next: Start a Blog. If you'd like to skip this step, head over to ﻿Forms and Surveys﻿.